ePro Scheduler Plus Reviews Recently Reviewed! Pros: The ease of use and the ability to generate and manage a large worforce. 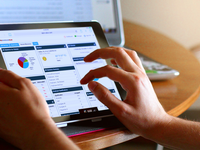 The ability to manage thousands of incident reports over the course of a year. It is easy to manage payroll, overtime, and communicate with the workforce without hiring additional staff. Overall: I found ePro Scheduler in 2008 when our workforce doubled over the course of a few months. It became very difficult to manage 350+ field employees (EMT's, Medics, Nurses, and RT's) schedules without some type of computer aided software. I evaluated many different options to make the process easier and more efficient, without breaking the bank. ePro was the best solution for our needs; we have grown to over one thousand employees, and we now use ePro for every department within the organization. 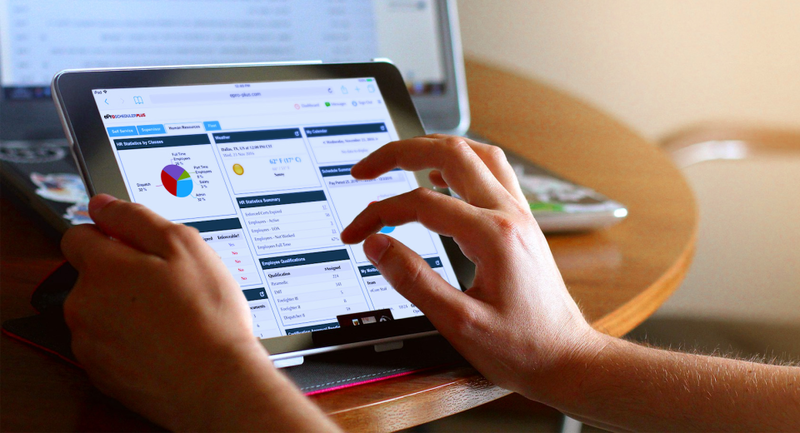 We use almost every feature of the program, from payroll to incident reporting. It would be hard to imagine how the company would handle the 3,000+ reports employees and managers do each year without the help of this program. I have since evaluated other scheduling companies and programs to ensure we are using the best program for our needs and I keep coming back to ePro; they set the standard that other companies try to emulate. Recommendations to other buyers: It does take time to learn and it can be intimidating transitioning to a new system, but once it is in place, you will never go back to your old system. Pros: There are too many positives to list here. However, a few that stand out are the Scheduling Wizard, which allows a multi functional, multi change mass edit to an individual associate's schedule or a full company's schedule with the click of a couple buttons; and the discrepancy (employee punch edit check) and timecard review, with their sleek and simplified easy view screen and functionality. Cons: With the software being built for many users (companies), there are times when suggested changes cannot be implemented without affecting all users. However, in our 9 years working with the software, we have been able to find easy internal ways to work around any issues to make it match our policies and procedures. 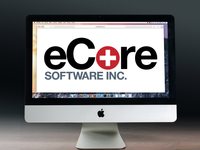 Overall: After recently reviewing and comparing several scheduling and timecard software programs, eCore Software continues to lead the way with ease of use and functionality. 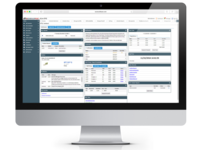 From the initial schedule building to the final timecard closeout, ePro Scheduler is hands down the best in the industry. Recommendations to other buyers: eCore is definitely a company worth looking at when it comes to their ePro Scheduling and Timecard software. The staff is extremely pleasant, polite and professional to work with; always listening and looking for feedback on ways to better their software program. Thanks, Craig! We appreciate your business! The basic scheduling system and employee management is user friendly. Pros: The basic scheduling and employee management is very user friendly and easy to teach new users. I do like the chat feature, that has always been very helpful to me as well. Cons: I wish they would have more training's since there is so much more of the system that we do not use. even if it was a webinar or pre-taped that we could watch on different topics. I would also like to see some changes in the discrepancies with back to back shifts and the system to pick up "late punch ins" when someone works a back to back shift. I would also like to see when and emp uploads a new cert, that it doesn't wipe out the current cert that in place. (unless we are doing something wrong). I would like see a "hover" option that we can see certs that are uploaded to see the dates before we approve them also. There are also some features of the payroll close out that I think could be tweeked. Thank you Jamie! We truly appreciate your business. As far as your concerns go, I would like to set up a quick call with you next week to schedule some additional training sessions to ensure ePro Scheduler is providing Ridge Ambulance with the most efficient process possible! Pros: If you have built your company around Epro's limitations, Epro is amazing. If you try to do something different, Epro becomes less amazing quickly. Cons: There are several areas where the software could be improved and they still aren't. I find that Epro likes to make more tiny Tweaks like font color or icon change rather than fix real problems, such as how it handles double shifts (or can't handle double shifts), how there isn't any easy add for meal penalties which was a law in CA until recently, and how there is a known issue with calculating shift breaks on the pick up shifts and they have no plans to correct it. All of these things we can work around but shouldn't have to since they have raised their prices and my company can't use half of their features. Overall: Due to the cons of Epro for our company, we did try to source other scheduling systems and they all had just as many quirks and drawbacks. There is a flow to Epro to some degree that was better than our options. Not a horrible program but could be a lot better overall. Pros: it has decreased our payroll processing time from 1- 8 hour day to about 20-30 minutes. scheduling and employee access from anywhere is great. we utilize it for a true business management solution on the operations side. Cons: a lot of menus. sometimes difficult to recall or find what you need but after some time it is easier and once implimented you can actually cut back on the menu choices available. Overall: better communication between management and staff. faster payroll processing. great record keeping. total ems operations business solution. We are so glad that ePro Scheduler was able to provide Meramev Ambulance District with so many benefits! We also appreciate the feedback. The eCore team agrees that our current menu structure is not the most functional or easy to use. Our development team is currently working to provide a simpler user-interface and focus on ease of use for all clients. Overall: The ePro team has been extremely helpful customizing the software to meet our specific business needs and processes. When we had a last minute critical customization needed, they prioritized our service request so we could meet our payroll deadline. Thanks so much, Carol! We do have a few additional accrual policies you may not be aware of, such as weekly accruals, rolling accruals (multiplies number of hours worked in a week against a specific value), and annual accruals. We appreciate your review! Pros: ePro being specially geared for first responders makes the programs work almost flawless when compared to other scheduling software that are not use to this industry. Also to go along with this their staff and support are well versed in the needs of first responders in regards to software. Cons: This software is only as good as you set it up to be. This is a pro and a con. The software is able to be customized to your needs however... If you don't know your needs or don't know how some features may be able to help you then you may not know how to set it up for your needs. Overall: Our Company Currently uses this software for Scheduling, Timekeeping, Incident report Tracking just to name a few. The system allows for a complete circle of communication to employees. I highly recommend this software for any company not just for EMS/Police/Fire. Recommendations to other buyers: This software in my opinion is top notch, However the truly best part is the customer service. Whenever I have had any issues or if the system goes down (It's not often) they are on top of it, in most cases before I can even call them. They are always updating the system and adding functions. I always love to see what's new in the upgrade. Thanks, Tim! We appreciate your business! Pros: Ease of use. Especially easy to configure user groups and employee profiles. Every transaction is searchable. We have 400 employees with unlimited schedule variations. We have never found a scenario that we could not accommodate through ePro. 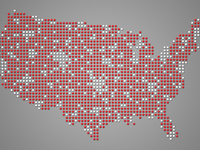 The bio clocks are easy to configure and a vital part of tracking employee punches at more than a dozen locations. Cons: Whenever I find a con, I call and they find a way to make it a Pro! Overall: We have been with ePro almost from the beginning. The product continues to evolve and meet our needs in many ways. From the beginning the staff at ePro have always been open to suggestions for improvements as our operational needs change. Recommendations to other buyers: Great product! Great service! Thanks so much, John! We appreciate your business! Pros: I love EPro because it's simple to use and you can access the program anywhere when you need to get online. Most of all the program is never down. You can run just about any report you need. Cons: What I wish it could do and I have been told that ideas are being worked on. I would like to see a sort of shifts by EOT, maybe not having to do discrepancies everyday and just a few other minor things. Overall: Overall, I have been very pleased with EPro and their customer service to is outstanding to helping me whenever I call. I think that's the best service to have no matter what issues you may be having. Pros: Ease of use. Report options. Personable service. Reliability. The it is set up in a way that works for EMS schedules as well as administrative roles. Cons: Desktop Version: Would like comments associated with open shifts to appear in General Info>Schedule Info>Day view. Mobile Version: Would like comments associated with open shifts to appear in General Info>Schedule Info>Day view as well as General Info>Requests Availability>Pickup Shifts. Thank you Brian for the review! I will send your feature request to our development department! Pros: The ability to create a very diverse group of schedule's including many different types of employees and the ease of updating and making changes to the schedule once it is rolled out. The customer support team is always available, friendly, and responds quickly to resolve issues. Cons: The integration with software used in other departments has been challenging but that is to be expected with any software implementation. Overall: I have used this software daily now for 4 years and have come to appreciate many features. Pros: Product is easy to use and is accessible. Like the idea that the company is pushing many improvements and is investing in making it even more user friendly. Along w/analytics. Overall: Good product and support. Happy that the company's focus on wanting to improve the product. Expanding dashboard to include HR analytics would also be a good position and would provide add'l value to current customers and prospects. Thanks, Chris! We appreciate your business! Pros: Payroll makes slightly less mistakes using this program. Cons: This program consistently does not register punches when crew punch in and out. The system shows the punch accepted, but when crew member goes to approve the time card, it shows missing punches. Also, it is frustrating to have to put a note in EVERY SINGLE TIME one punches in or out. Overall: Management and payroll love this program. However, from the crew member/employee side, it is very frustrating. Every punch in or out needs a note in addition to name and password. Why??? Every time I've uploaded a certificate, the attachment shows fine on my side, but HR can't see it and I still have to make a trip to the main during business hours (I work nights) to turn it in. It drops at least 2-3 punches a week. Overall, not a great program for the employee, though management seems to love it. Thank you Anita! We truly enjoy working with you and MedStar Mobile Healthcare! I will be sure to provide you with an update on these issues from the Comm. shifts next week! Overall: Twin City Ambulance has been utilizing ePro Scheduler / Manager since early 2013. During that time we have dramatically improved payroll accuracy while also reducing time dedicated to payroll and scheduling tasks. The software has also improved our ability to effectively and consistently communicate with our employees through the many useful modules such as messenger, tracker, and continuing education. The software is easy to use and is important to our operations. Pros: All in one package with easy to use interface, with capabilities to filter data fields. Cons: Lack of communication between functions within software. With this being all in one system, features should be able to talk to each other instantly. Overall: Very good. Easy to pick up on, easy to adapt to upgrades and new features. 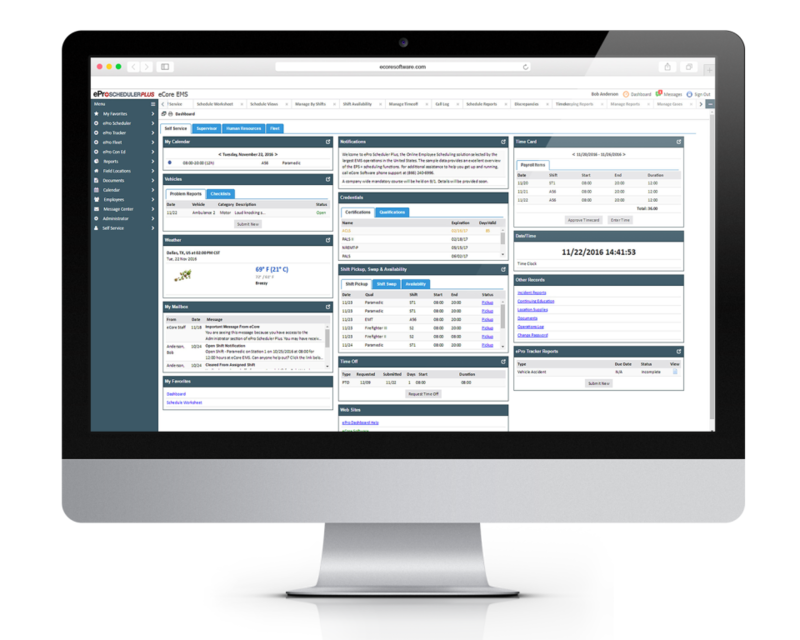 Been working with ePro scheduler for over 9 years now from basic user interface to complete admin rights. Pros: Scheduling, ease of use, maintains certifications for employees. Cons: Some of the areas are a little confusing on how to configure. Overall: It's been a great tool for our company for 17 years. We hope to continue to utilize the program for all it has to offer. Pros: The platform allows for a variety of shifts and shift patterns. Cons: There are several areas that are not consistent. For example date fields and upload areas are different depending on what area you are in. Overall: I have been an ePro customer for many years and the customer service is second to none. Dealing with these folks is like having an extension of your own IT department. Thanks, Walt! We appreciate your business! Pros: Great for scheduling and payroll. Like it a lot. Cons: I would like for them to add a feature on the main screen that shows updates and less emails. Pros: This program was very easy to learn how to use. I like the month view of the schedule. Overall: In the beginning I wasn't very thrilled having to learn an entire new program for building a schedule for my base operation, but after playing around with it and using it, I found it was much easier than Zoll Crew Scheduler and Telestaff for admins and crews. Pros: I enjoyed using this program. I only needed one in service class to grasp and understanding toward each feature or took needed for scheduling. Cons: Alot of functions that I had no use for when it came to things like the worksheets for example. Cons: Honestly we have not had any users give negative feedback. Overall: we are able to keep everyone's space/venue issues under control and managed efficiently. Thanks, Jennifer! We appreciate your business! Comments: Wonderful customer service experience. I am always able to get assistance with a quick and efficient response. The software is easy to use. Easy to navigate. Thank you, Mindy! We appreciate your business! Pros: The ability of the software to be agnostic in integration is exceptional. Overall: Overall we have an exceptional implementation. 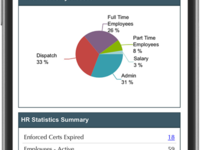 The ability to catalog employee information and capabilities to assign to shifts is also a great feature. Our long term goal is to perform complete integration to allow our supervisors to approve time card and perform all validation in ePro rather than in two systems. Comments: Product has streamlined the process of scheduling of our staff and helped manage unscheduled absences. Customer service is easy to contact and top-notch. Thanks, William! We appreciate your business!